Blush C1054 is a sleek, polished, and sophisticated dress that is simply elegant from the front and then fun from the back. A pleated sash sits on the back of the dress, creating a lovely train. This dress will have everyone taking a second look. 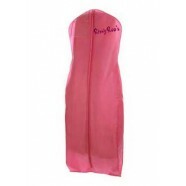 This refined strapless gown is available in Fuchsia or Royal.